The Peoples Democratic Party, PDP, has claimed that some persons in the Presidency and top members of the ruling All Progressives Congress, APC, are working for its candidate, Alhaji Atiku Abubakar. 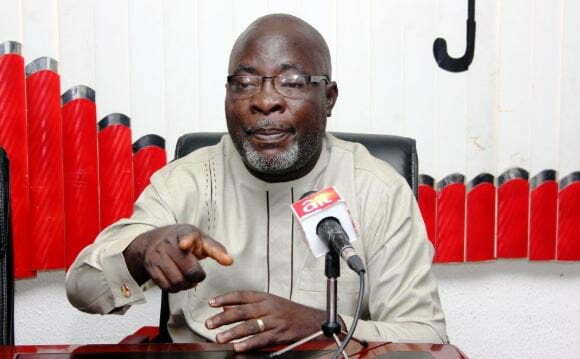 The National Publicity Secretary of the main opposition party, Kola Ologbondiyan, told journalists in Abuja that PDP is very optimistic and is set to win presidential and other elections in the country. He accused the President Muhammadu Buhari government of having failed to fulfil its 3 points agenda of improving economy, fighting corruption and insurgenc. According to him, “President Muhammadu Buhari has failed to deliver on his three-point promises of revving the economy, fighting insurgency and fighting corruption. “On the fight against corruption, all you need to do is look around Mr President and the picture you find will will show you if, in truth, President Muhammadu Buhari has fought corruption.